It is a common practice that merchants selling products on the Web ask their customers to review the products and associated services. As e-commerce is becoming more and more popular, the number of customer reviews that a product receives grows rapidly. For a popular product, the number of reviews can be in hundreds. This makes it difficult for a potential customer to read them in order to make a decision on whether to buy the product. We aim to summarize all the customer reviews of a product. This summarization task is different from traditional text summarization because we are only interested in the specific features of the product that customers have opinions on and also whether the opinions are positive or negative. We do not summarize the reviews by selecting or rewriting a subset of the original sentences from the reviews to capture their main points as in the classic text summarization. We only focus on mining opinion/product features that the reviewers have commented on. A number of techniques are presented to mine such features. The proposed system is used to decisive the customer reviews for multiple product reviews then find the aspect from the review and classify the review whether they wrote positive or negative. We only focus on mining opinion/product features that the reviewers have commented on and compare the more product and rank the product based on the reviews automatically. Suganya S, Sureka K, Vishnupriya P. "INTEGRATING ASPECTS BASED ON OPINION MINING FOR PRODUCT REVIEWS." 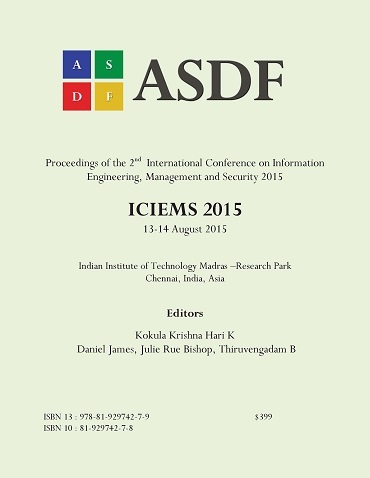 International Conference on Information Engineering, Management and Security (2015): 01-06. Print.